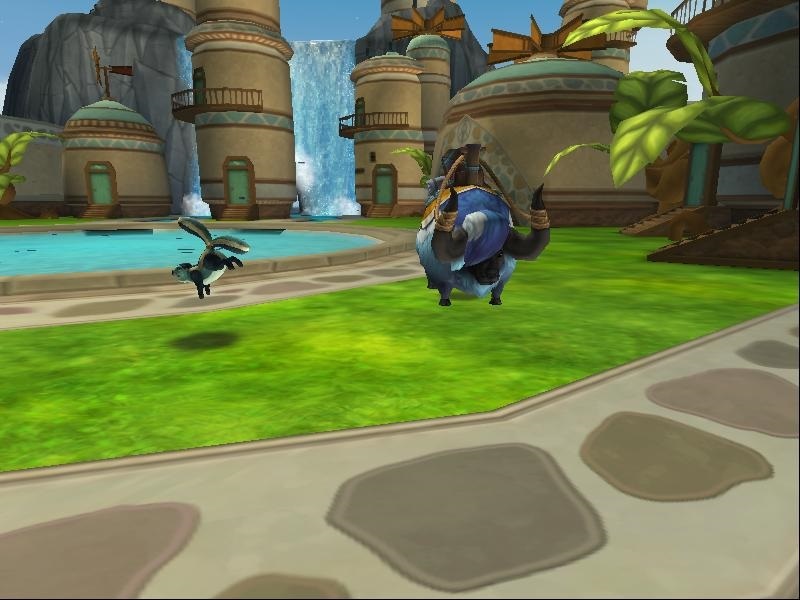 Aero Village is the newest bundle for Wizard101. 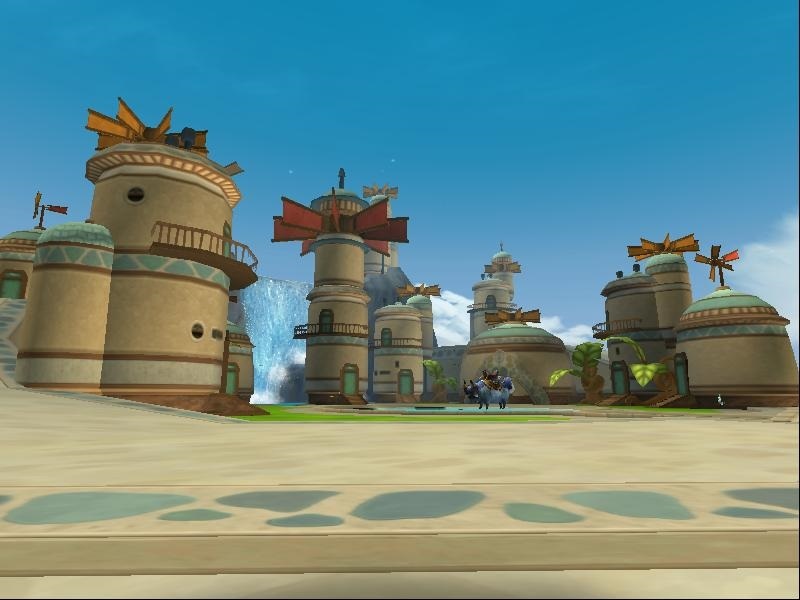 This village is made up of 10 buildings great for any inspiring Wizard. Some of these areas have upstairs and downstairs , some are single. One is very big building and all of these are connected by a inside corridor. 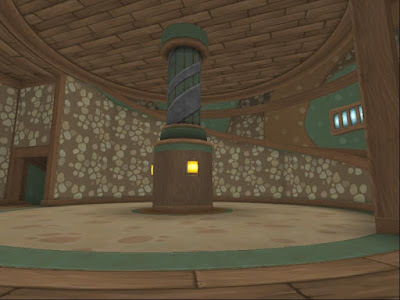 Here is one of the rooms and check out this Blue Ox Mount and my new favorite looking pet a Squirelgig. I have a special surprise Iridian WillowGlen made me some maps of this house for those of us who have gotten lost a few times. ;) Check them out below. 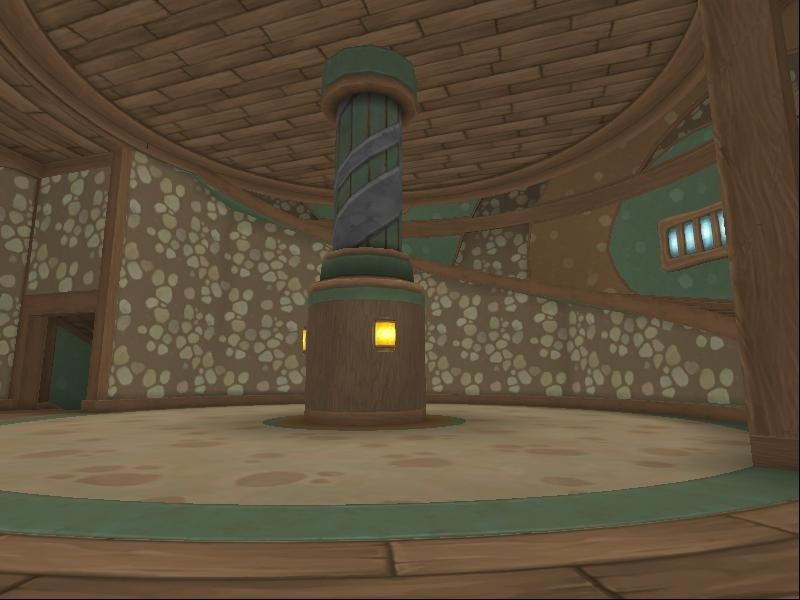 I think I have an idea of how I'm going to decorated. I think. 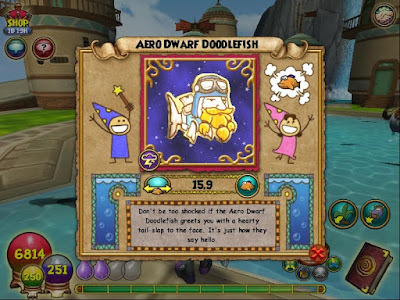 If you have any suggestions please post them below and I might use one and post it. 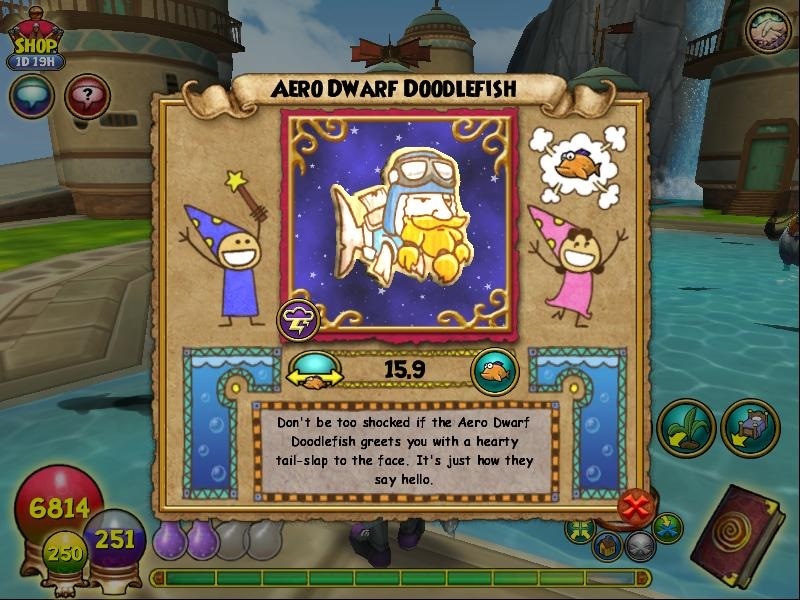 Oh and don't forget the newest Aero Doodlefish. I can't wait to see what you come up with. GREAT job including those maps. More brilliance from Iridian. Thank you. Those maps will definitely be handy.